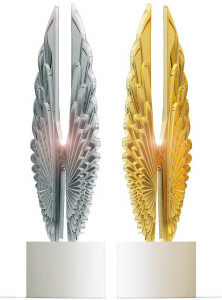 The 12th Annual Hermes Creative Awards competition is now open for entries. And, the latest competition features a slew of changes. After more than a decade symbolizing excellence in marketing and communications, the Hermes messenger statuette has a revolutionary new look. The sleek H with its intricately carved wings, is a modern, abstract piece of art recognizing the messenger’s role in creativity, design and technology. The new award is the creation of Hermes’ design staff working with artists and craftsmen from Society Awards, the world’s foremost designer and fabricator of custom awards. Society Awards’ clients include the Golden Globes, Emmy’s, MTV, Academy of Country Music, The Voice and Dancing with the Stars. 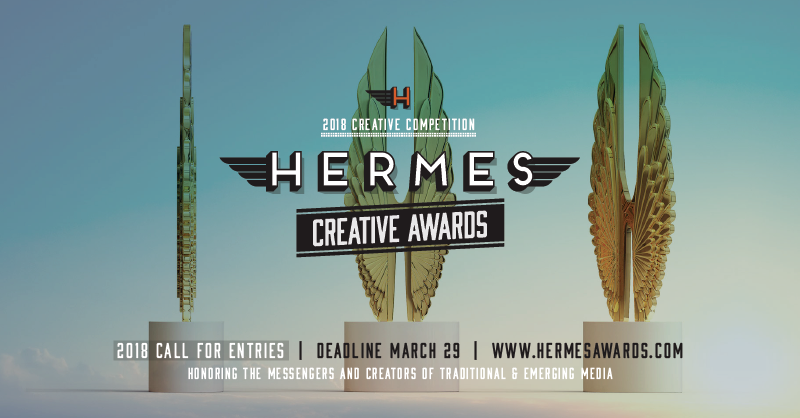 With the new award, revamped website and updated categories, Hermes Creative Awards pays homage to its past, while better recognizing the skills and technology of a new generation of marketing and communication professionals.